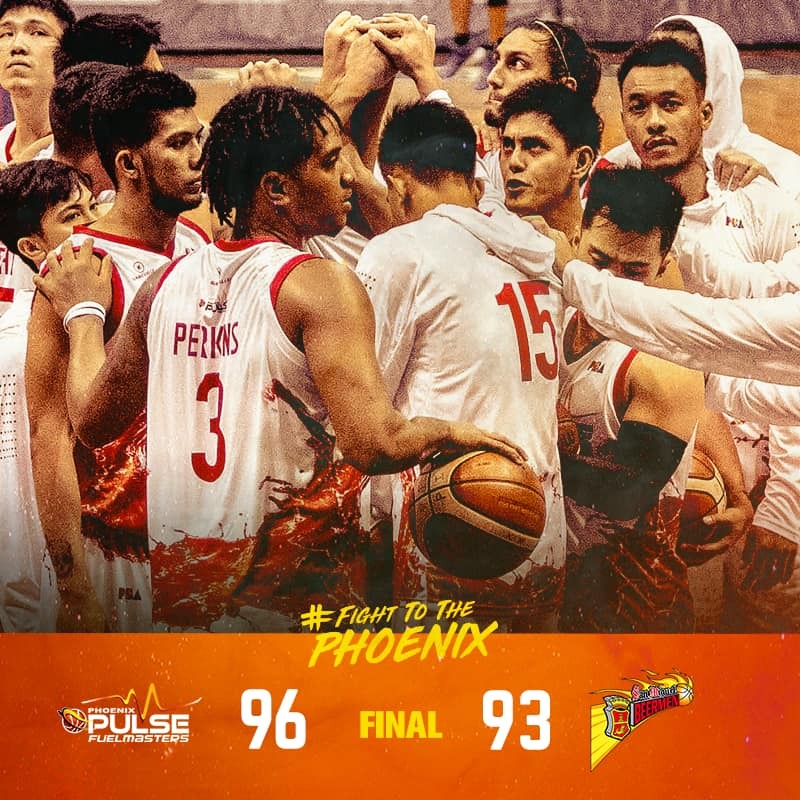 Phoenix PULSE Fuel Masters made its best regular season finish in the elimination round as it defeated the four-time champion San Miguel Beermen on March 16 at an out-of-town game in Panabo City, Davao del Norte, bringing off a pulsating 96-93 victory. The team now officially secures the number one spot in the 2019 PBA Philippine Cup with a 9-2 win-loss record—the first and best in the team’s history. The Fuel Masters was in the lead throughout until SMB tied the game at 90 during the fourth quarter with less than two minutes on the clock. Wright broke the tie with a three-point shot, while Perkins added a tough turnaround jump for a 95-90 lead. Just in time when SMB sank a deep trey, a foul gave Perkins a free throw chance and locked the team’s score to 96 points. All Fuel Masters fielded in the game scored at least three points, with Matthew Wright as the highest shooter with 25 points. He was followed by Alex Mallari with 12 points and Jason Perkins with 10 points. With the win, the team finds itself in the same situation as last year’s Governors’ Cup, securing a twice-to-beat incentive. “The team is still reeling from how the same incentive led to an unfortunate turn of events last year. While it remains as a welcome advantage, the challenge now is to overcome that trauma from last year and play as if we don’t have this privilege,” said Phoenix PULSE Fuel Masters Alternate Governor Atty. Raymond Zorrilla. Given the incentive, the Fuel Masters only need to win against the eighth-placed team of the quarterfinals to advance to the semis. Prior to the playoffs, the Fuel Masters will be participating in the 30th PBA All-Star Game in Calasiao, Pangasinan on March 29-31. PFM’s Head Coach Louie Alas has been picked as the official coach of the North All-Stars Team, which includes Calvin Abueva and Jason Perkins. Matthew Wright will be part of the Junior roster, while Justine Chua will participate in the skills competition. Last year’s slam dunk champion Rey Guevarra will be back in the competition to defend his title and will be gunning for his record fifth slam dunk.